It's the right choice that permits not to risk to miss an early flight or relaxing a few minute after landing saving extra charges for early/night taxi fare, car rental or any eventual way of transport. 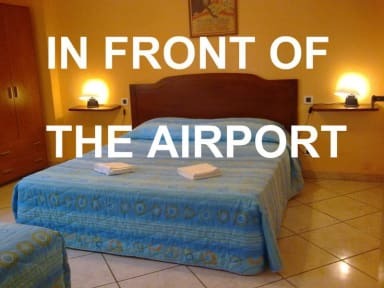 Recently open and furnished modern style with the pure elegance of the Tuscan style, we offer rooms with private or shared bath with shower hairdryer and courtesy set, sat tv lcd, free wireless internet in all rooms, and possibility to discover Pisa by night returning any time at night. Air conditioning available with an extra charge.